We received the invitation to the Official Opening and Blessing Ceremony of the Quan-Am Bodhisattva Statue at the new Dinh Quang Buddhist Temple at 10:00 AM on Sunday September 23rd, 2012. "The Quan-Am Bodhisattva (in Vietnamese) is the Avalokiteshvara Bodhisattva of Compassion, who is mostly known as the resemblance figure of a mother with a great loving heart. He loves everyone, every living being as his own child, no discrimination of any kind. 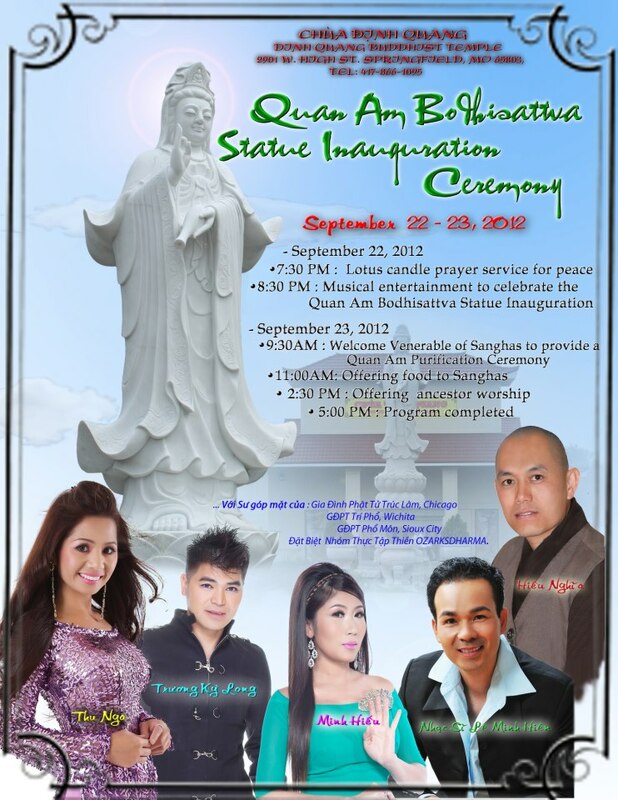 Therefore, in the grand plan of rebuilding and establishing the Dinh Quang Temple, we have completed the establishment of the Quan-Am Bodhisattva Statue in the outdoor Zen garden to represent the great compassion he brings to people at the temple, in the community, and in the world. ... 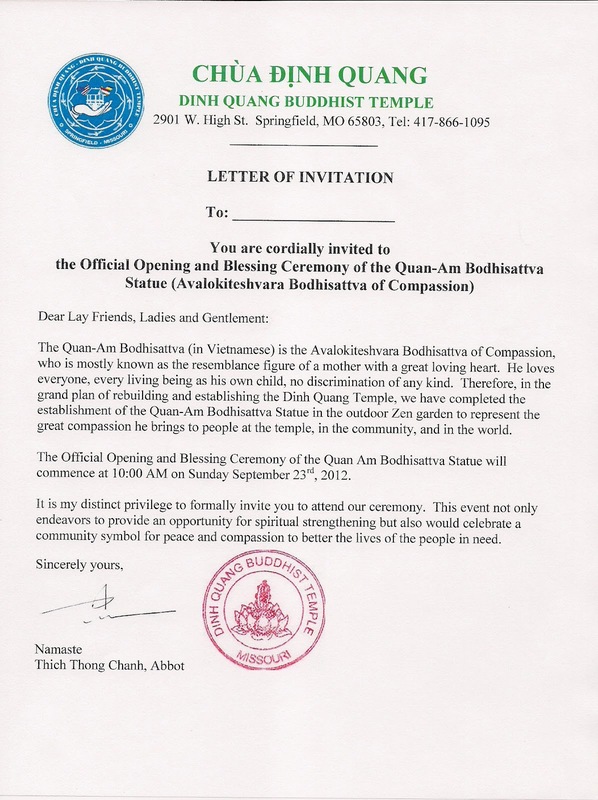 This event not only endeavors to provide an opportunity for spiritual strengthening but also would celebrate a community symbol for peace and compassion to better the lives of the people in need." You can also download the invitation as a pdf (HERE). You can learn more about the temple at KY3 ("New Buddhist temple in Springfield includes 12-ton statue") or the Springfield News-Leader ("Statue at the Buddhist Temple"). EDIT: Here is a schedule of events for the weekend. You can also download the schedule as a pdf (HERE).